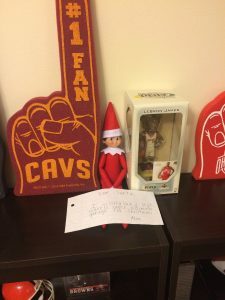 Elfie’s back! Alan found Santa’s little helper and left him a note for his next trip to the North Pole. Alan’s letter to Santa this year contains a request for the Hot Wheels Super Ultimate Garage. We’ll see what happens on December 25th!